Starting and running your own martial arts school requires commitment, planning and good management. Choosing the best martial arts software which suits your needs will help you find and keep customers. RainMaker is an all in one martial arts management software designed specifically for martial arts schools. Created in 2003 by to use in martial arts schools. It allows you to keep track of everything that’s critical to the business. Martial arts schools use RainMaker to organize all members data, save students information, keep track of their activity, attendance, performance, payment, class schedules and much more. This is one of the best martial arts software designed to simplify student management, boost enrollment rates and increase profits. The easy to use and powerful RainMaker platform makes it easy for you to start up or grow your existing Martial Arts school allowing you to focus less on management tasks and get back to doing what you love, i.e. teaching martial arts. 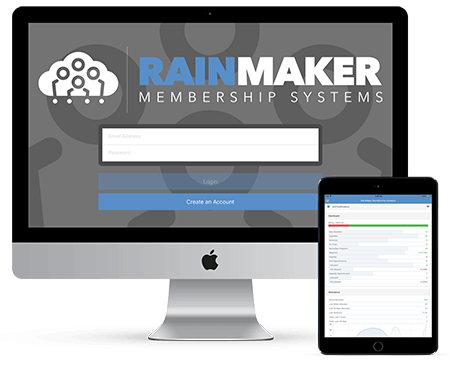 RainMaker lets you manage member attendance, tuition, ranks promotion, automatic payments collection, point of sale, SMS messaging/text messages, manage prospects and leads, automatically follow up on prospects, staff management, online scheduling, track class credits and so much more. RainMaker is like having a full-time staff member that saves you time and makes your life easier while you spend your time teaching martial arts. RainMaker enables you to grow your business by getting new members, retaining current members, and maximizing customer lifetime value. It gathers leads directly from your web-site right into the system. Prospect Manager will show you what stage each of your prospects is in and what to do next. Upgrade & Renewal Manager will let you plan ahead to boost your enrollment. MIA manager keeps track of your memberships to follow up with missing members. 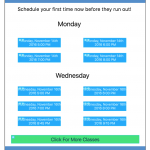 Make interaction with your business easier for your students and prospective students by offering them the option of seeing a full listing of your scheduled classes online, including how many spots are left in each class. You’ll never overbook, leading to less frustration and more satisfied students. You can view everything about your contacts at one glance saving time. The student page gives you an opportunity to know and share in the experiences of your students. This way, you can forge better relationships and build trust with your clientele. With RainMaker, you can manage your members’ subscription payments, belt exams, rankings, competition results as well as track your financial statistics. Getting organized and clear on the goals for your business, with the help of this software might be the only thing you need to take your martial arts school from good to great. Our martial arts management software takes less than 5 minutes to enter a student, and only minutes a day updating attendance. Most of our systems are automated making everything so much easier. Fantastic customer support is guaranteed! Besides being an user-friendly software, RainMaker offers exceptional customer service that is simply unmatched. We offer a 60-day money back guarantee. All you need to do is let us know you would like a refund during the trial period, and we will stop your payments and refund your initial start-up. « Previous Post How To Sign Up More Karate Students Next Post » #MASS17 and 16x World Wrestling Champion, The Nature Boy, Ric Flair!